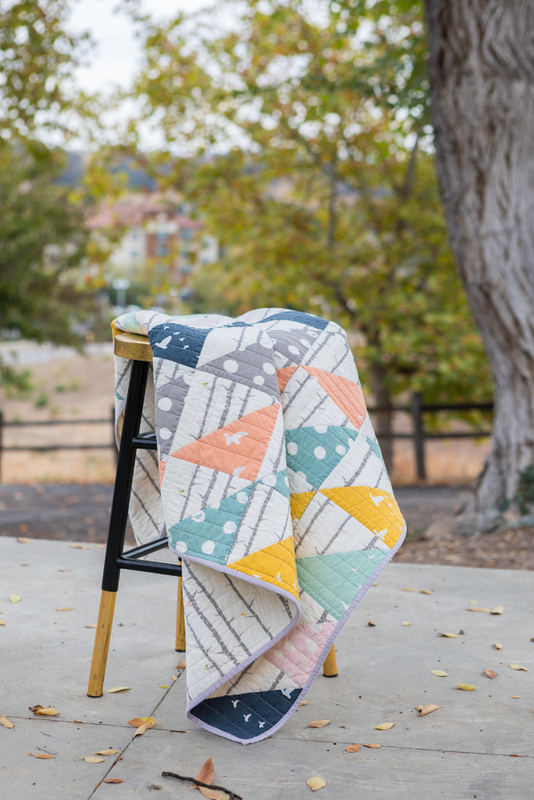 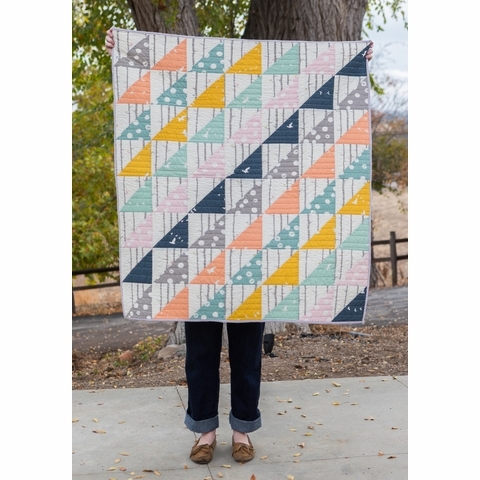 The Bare Necessities quilt pattern is a bright, fun quilt which uses half square triangles and is easy to make! 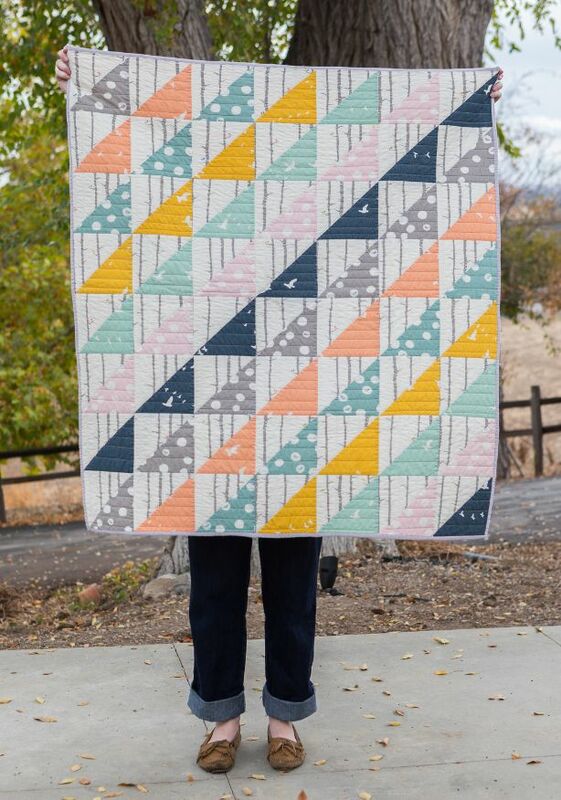 Finished Size: 41" x 47"
Each block measures: 6.5" x 6.5"
**Kit does not include batting or backing fabric. 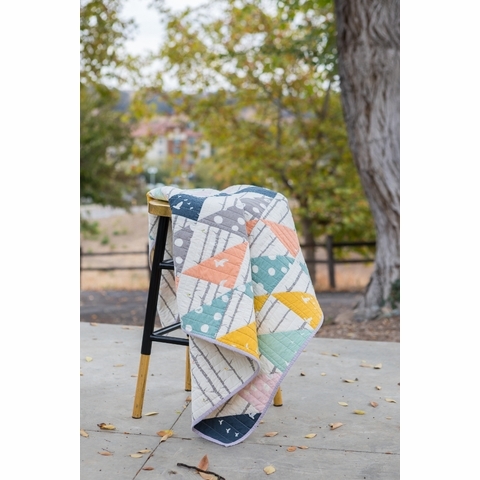 Backing requires 1 1/4 yards of 42" wide fabric.